Soneva Fushi, the first "Robinson Crusoe" style hideaway in the Maldives, is set on the privately owned, uninhibited, tropical paradise island of Kunfunadhoo. 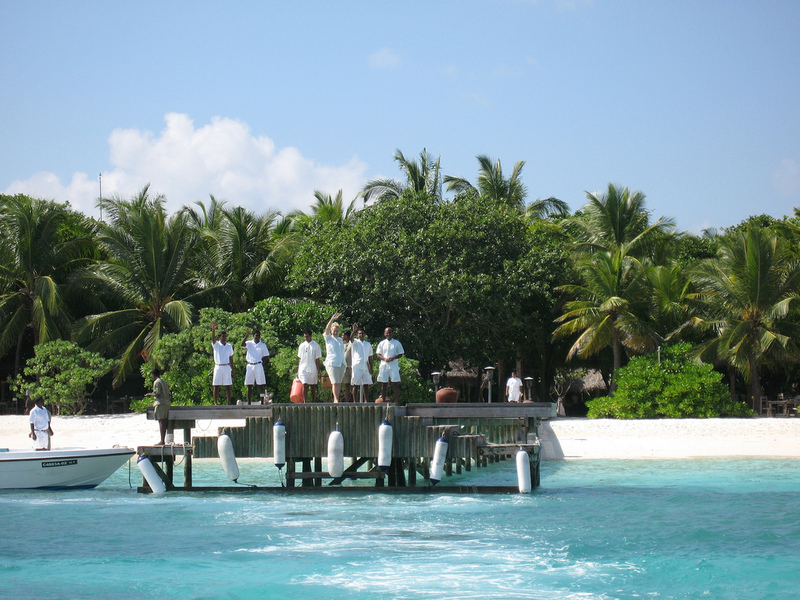 Soneva Fushi is situated in the Baa Atoll, north of Male Atoll. 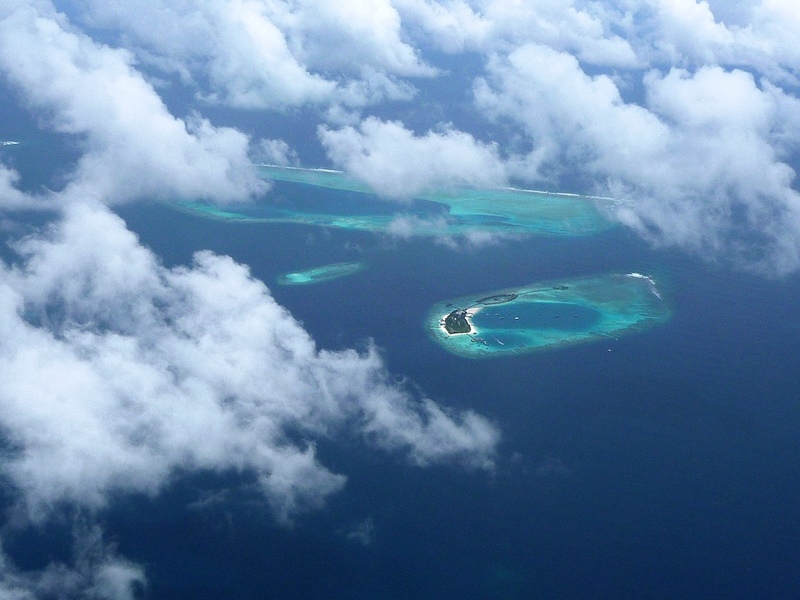 There are 19 atolls that stretch over 800 kilometres made up of the 1,190 islands which are the Maldives. Apart from the crystal clear waters, for which the Maldives is world-renowned, the island's unusually rich vegetation provides a unique natural experience. 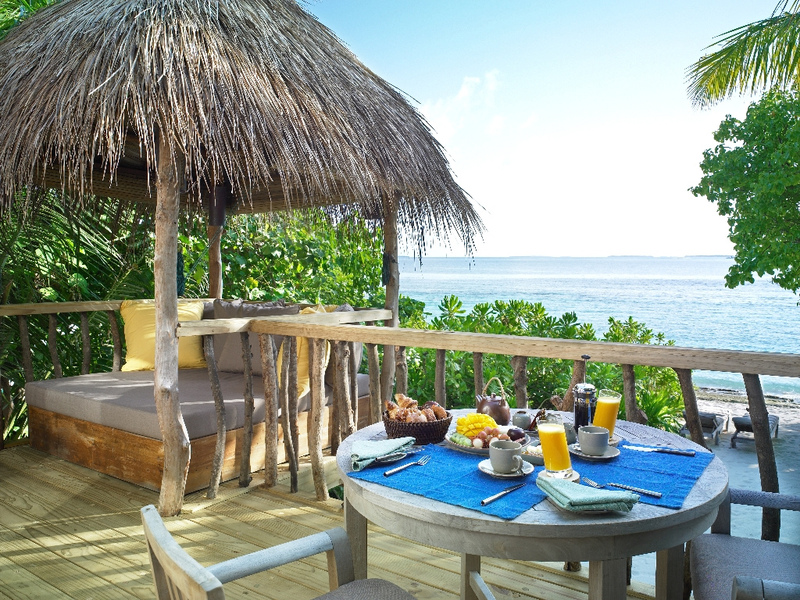 Villas and rooms are scattered along the beach and tucked into the lush greenery, providing the ultimate in privacy. 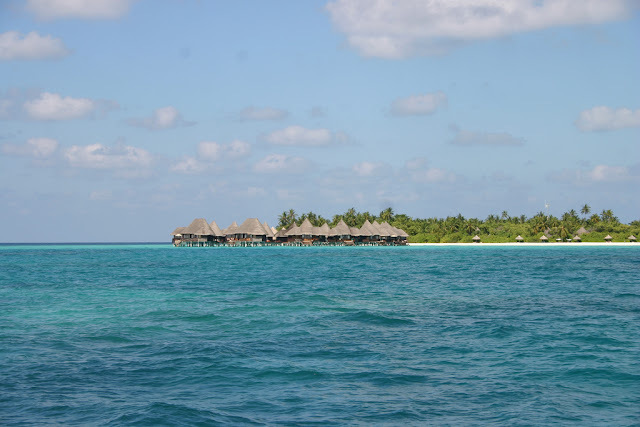 Soneva Fushi, in the North Baa Atoll region of the Maldives, is the ultimate island experience.Soneva is committed to offer luxuries of the highest standard in an environment that nurtures the indigenous feel in design, architecture and service. 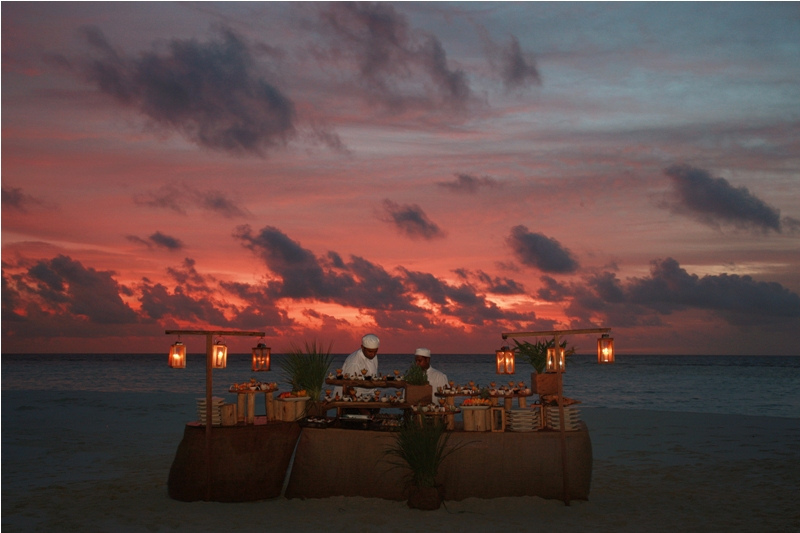 The simple sophistication of a Soneva resort is enhanced by continually embracing innovations that result in the creation of unique experiences for guests. 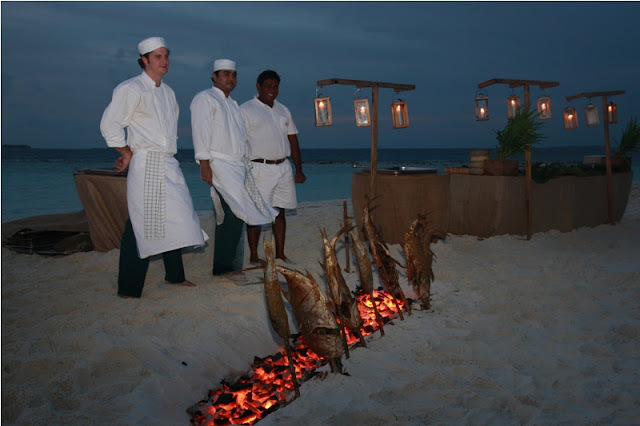 A Soneva resort has a limited number of accommodations, allowing for exceptional and inspired service. Furnishings and finishes are crafted from renewable and sustainable sources, while generous personal space and the fusion of nature with guest experiences create destinations unto themselves, and further expounding the Soneva theme –Intelligent Luxury. Soneva Fushi offers just 65 villas, which capture the very essence of a luxurious castaway fantasy. One of the greatest feature of villas is the spaciousness, in and out, that provides an ideal hideway from other quests. Each villa has the luxuries found in the best hotels but with a natural feel that is ideal for a Maldivian island atmosphere. 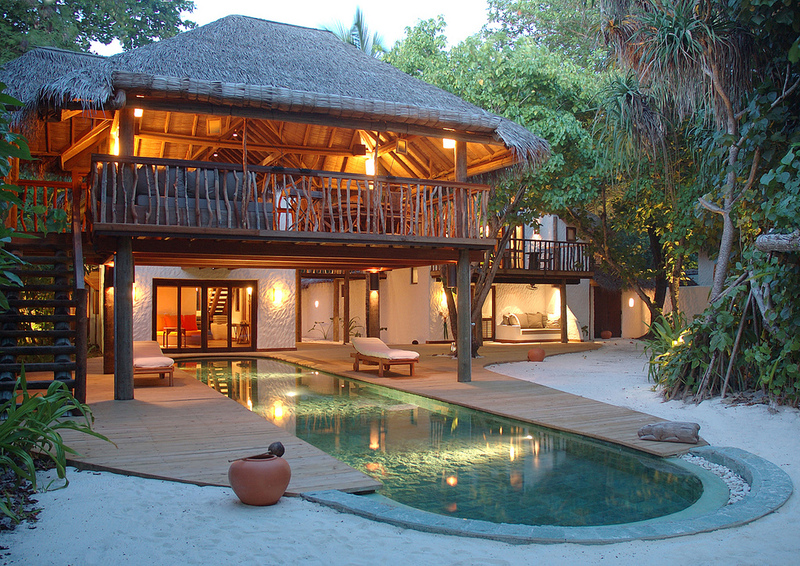 The villas are placed so that your very own stretch of white sand beach is just a few steps away. 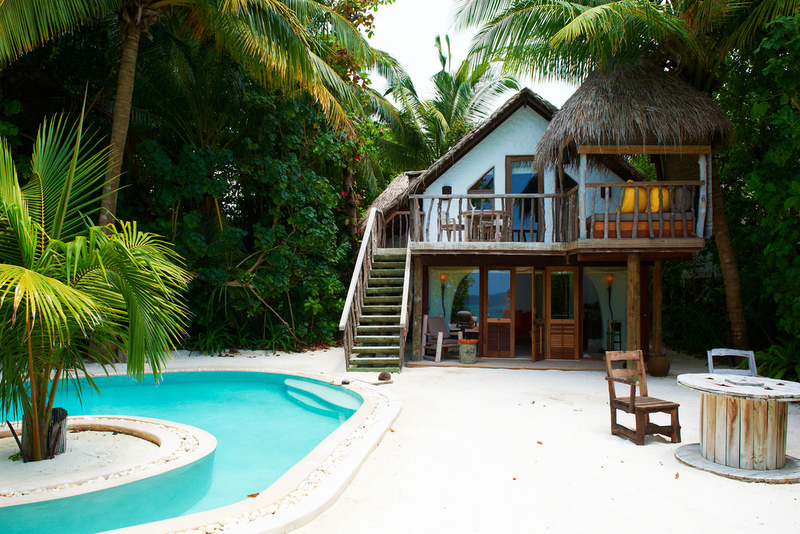 There is dense vegetation in between each villa and garden patios let you admire the secluded beauty. Villas offer modern day facilities, yet the utmost care has been given to make the resort environment friendly, and to reflect the dream of a Robinson Crusoe experience. Thus, the hairdyer is hidden in the drawer of a coconut wood desk; the mini-bar,safe,and quadraphonic hi-fi are concelead behind rattan; the TV and DVD can be set up where you like, if you want them at all. 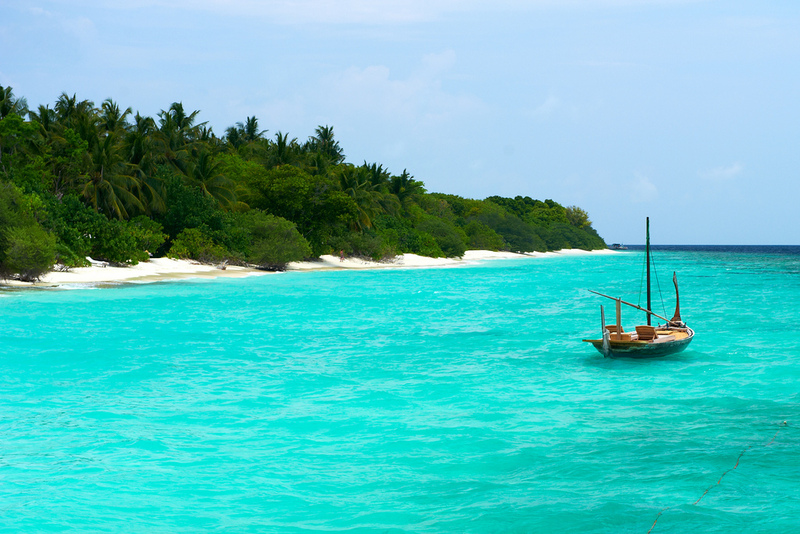 The sheer size of the island allows an enjoyable exploration by bicycle or an energetic run on one of Soneva Fushi's hidden jogging trails. 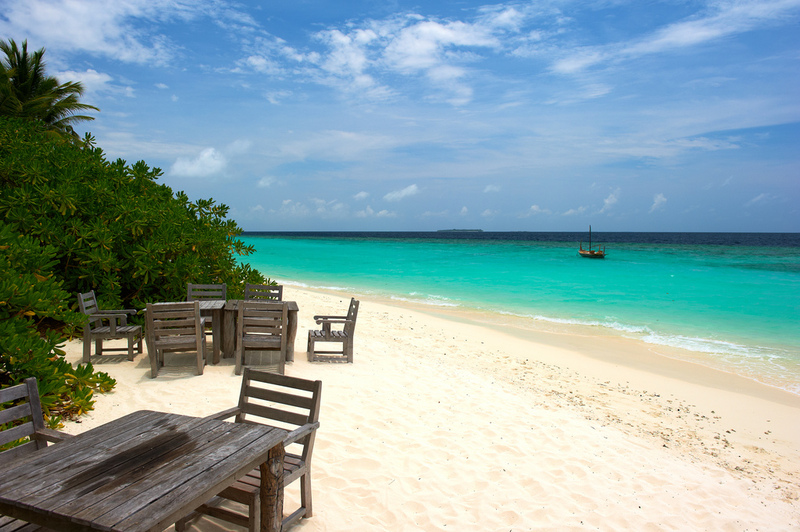 The absence of major hotel development in the Baa Atoll leaves one spoilt for choice of desert islands to beach picnic. Alternatively ramble through nature and discover on the resort's island and neighboring island villages. And all the while, soft white sand underfoot. Then there is the wonderful Six Senses Spa, offering a menu of rejuvenating to calm mind and body. 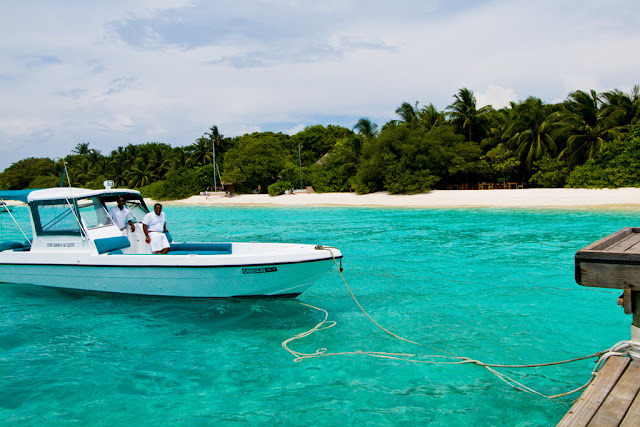 Enjoy the tranquility and remoteness of this private island and come and stay for a week or two.